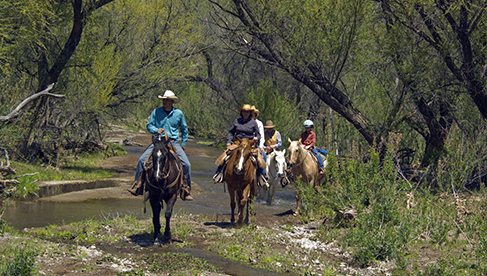 Arizona’s oldest continually operating dude ranch, the Circle Z Ranch is a premier destination in scenic Southern Arizona, open during the delightful months of November through April. 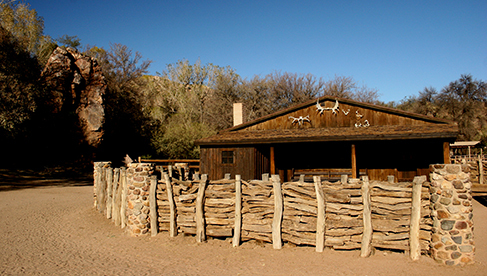 Founded in 1926, the ranch still maintains many of the original cottages and corrals. 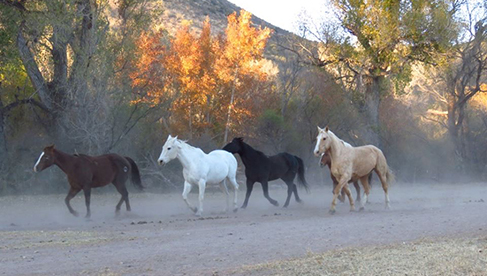 Known for our exceptional horses and diversity of trails, we venture out into riparian areas, grasslands, mountain ranges and high desert valleys. 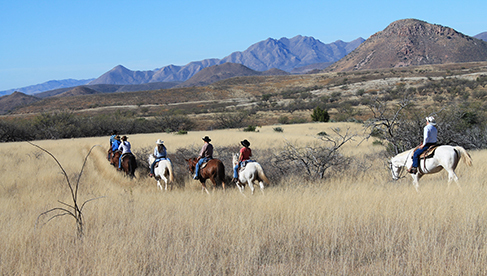 Guests return year after year for the individualized attention from our staff and the spectacular surroundings of our ranch property. 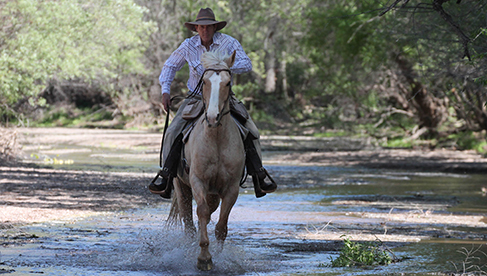 Many of our horses are bred and trained here on the ranch, and we are experts in matching the perfect horse to each guests. 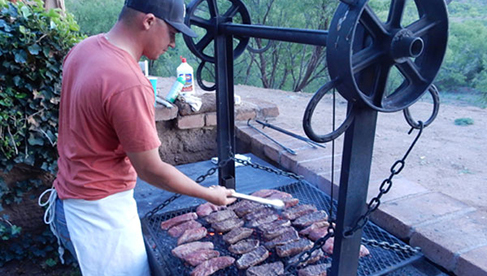 As a family owned and operated ranch, we take pride in maintaining the highest levels of hospitality, from our fantastic meals to our immaculate accommodations. 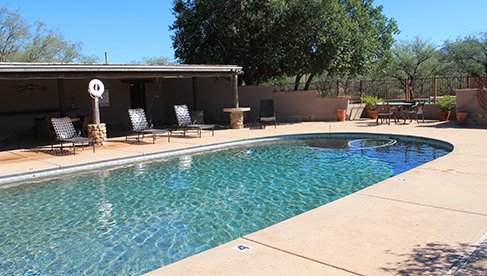 In addition to horseback riding, many of our guests enjoy our heated outdoor pool, tennis courts and game room, hiking into the nearby hills, or touring the award winning nearby vineyards. 20% off our published rates! from Sunday to Sunday stay: $1,662 and Sunday to Thursday stay: $1,109. 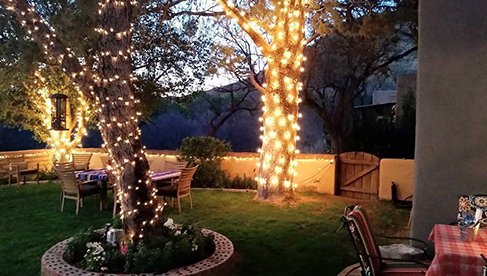 Treat yourself to a rejuvenating vacation before the busyness of the holidays. 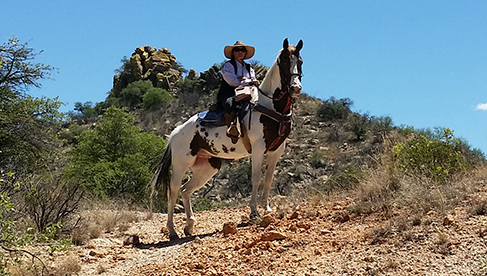 Trail riding in the spectacular Arizona desert will clear your mind, while the home grown Circle Z hospitality will ensure all your needs are met. 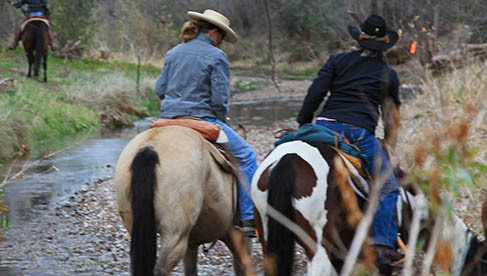 This special is ideal for singles and families, and includes our scenic and fun trail rides, fabulous meals, exquisite lodging and plenty of time to enjoy family and friends. We challenge you not to relax! *Prices per person for a standard room. Rates are different for cottages and suites. *This discount does not apply to the horsemanship clinic. 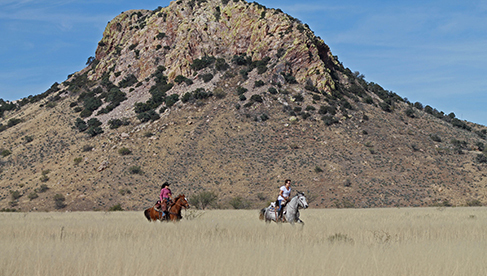 Take in the beauty and peacefulness of the Southern Arizona desert during the winter months. This is our quietest time of the guest season, so take advantage of this special! 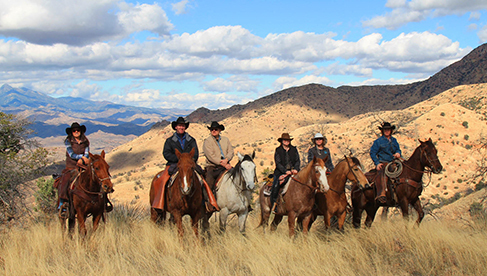 Ideal for fully enjoying all the amenities we offer, including scenic and exciting trail rides, fabulous meals, exquisite lodging and ample space for enjoying time with family and friends. New Year Special: January 4-January 15, 2017-- 15% off our published rates! 10% off our published rates! from Sunday to Sunday Stay: $1,869 and Sunday to Thursday Stay: $1,248. Pack your finest western wear and join us for a special time where we celebrate our grown-up guests. This adults only special is ideal for guests traveling solo, with friends, or as couples. We guarantee a quiet and relaxing time. We plan your week, you plan your attire! Learn more or make a reservation by calling 888-854-2525. 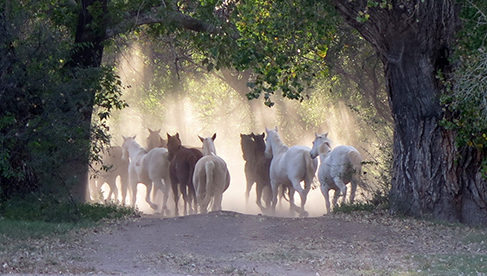 Visit Circle Z Ranch's website. Email Circle Z Ranch. 15% off our published rates! from Sunday to Sunday Stay: $1,765 and Sunday to Thursday Stay: $1,178. 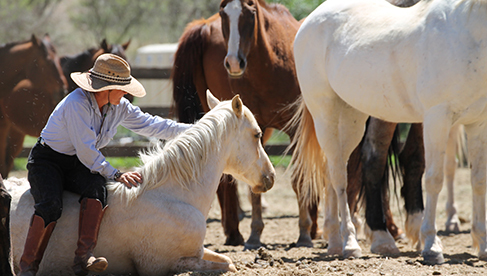 During this very special week, we celebrate all of our old hands, many who have been loyal to our ranch for decades! But no matter if you have been coming for 30 years or for 1 year, please join us for this well planned week. 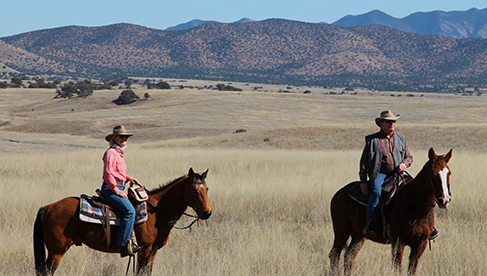 We will include a rodeo at our new Z Bar property, a Cinco De Mayo party complete with Mariachi’s, plus a Saturday afternoon at the Sonoita Horse Races! Break out your finest for an eventful week at the historic Circle Z! 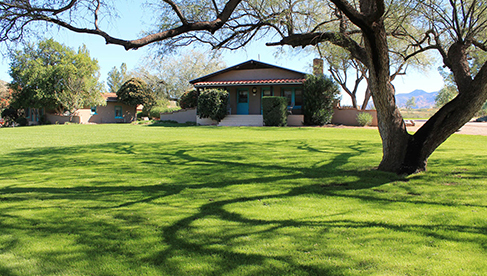 The Circle Z Ranch has accommodations for singles, couples and families. 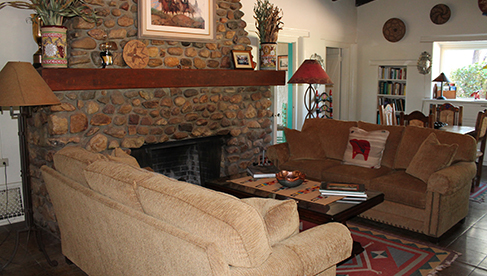 All our cottages have private entrances, outside porches, and spacious floor plans. 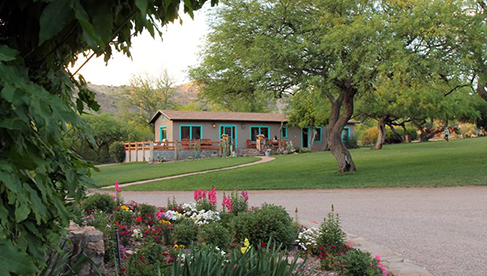 This Arizona guest ranch grows many their our own vegetables in their organic gardens, and serves delicious and fresh buffet style meals. 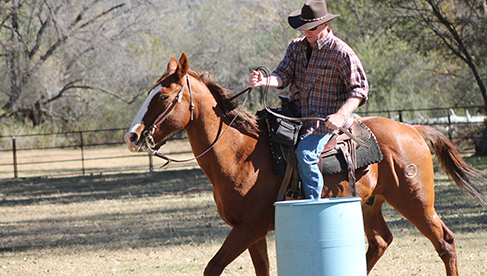 Ride over hundreds of miles of diverse trails, and enjoy regular cook out rides, all day rides, and gymkhana games in the ranch's large arena-- fun for kids and adults alike. 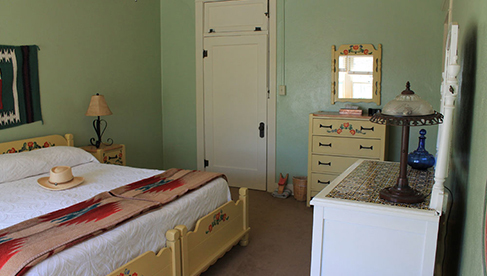 World renowned birding, historic towns of Bisbee and Tombstone, Karchner caverns, local vineyards, great shopping in the near-by towns of Patagonia and Tubac.